Are Justin Bartha and his bride expecting a baby? 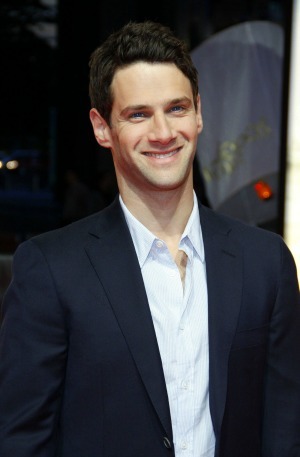 The Hangover‘s Justin Bartha has been married only a few days, but rumors of a brand new baby have already begun. Justin Bartha and Lia Smith were married on Saturday, Jan. 4. Because Bartha’s best-known role may be The Hangover, it seems only fitting there is a twist to the story. Us Weekly is reporting that Smith and Bartha are expecting a baby. There is really not much proof to the report, except that a source reportedly told the magazine about a pregnancy for the newlyweds. A witness to the wedding said Smith “had her hand on her stomach most of the time” and “looked like she had a little bump.” A flowy gown for any bride can sometimes cause baby rumors, and Smith also reportedly wore a “loose-fitting dress” at the couple’s farewell brunch. The onlooker said she was also touching her belly at that event. Baby or not, Bartha and Smith seem the picture of happiness. Smith was a Pilates instructor when she and Bartha met, and have been dating publicly since January 2013. The Hangover and National Treasure actor proposed only a few months later in Big Sur, California. Bartha and Smith were married at the Kualoa Ranch in Hawaii with celebrity friends like Jesse Eisenberg, Ken Jeong and Reese Witherspoon in attendance. The picturesque setting made for a perfect wedding, and a nice vacation for their family and friends. If the baby rumor turns out to be true, it will be the first child for both Bartha and Smith.